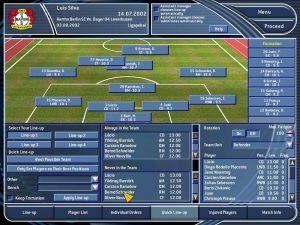 Total Club Manager 2003 gives you the opportunity to build up your own football team. You start low and proceed to better leagues, which offer a better payoff. You build up the team infrastructure and hire better players, in order to satisfy the greater demand for club facilities and victories. 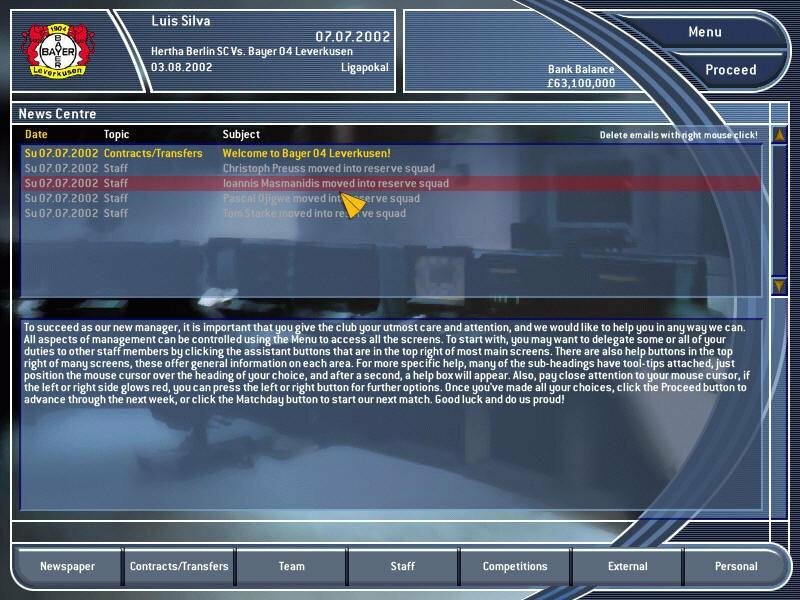 In addition to taking care of your players, you’ll have to take care of their training, trading and morale, as well as manage the club’s finances, new club facilities, additional staff and much more. The game builds on a long line of predecessors in an effort to present the best game balance. 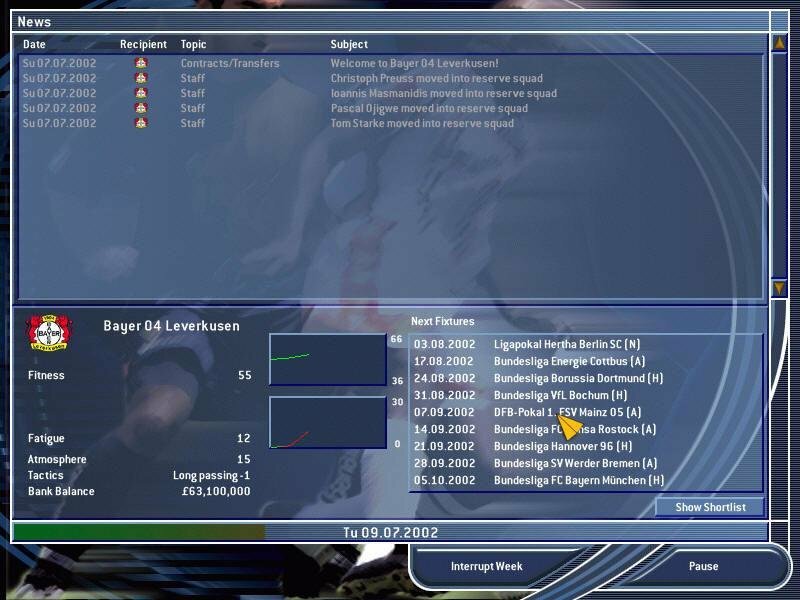 Total Club Manager 2003 bears a stronger focus on character development, where players can be trained to achieve new levels and increase their skills. By combining certain skills, the players can achieve certain bonuses. For example: the Lighting Speed bonus will be given to a player who beefed up their Speed skill. 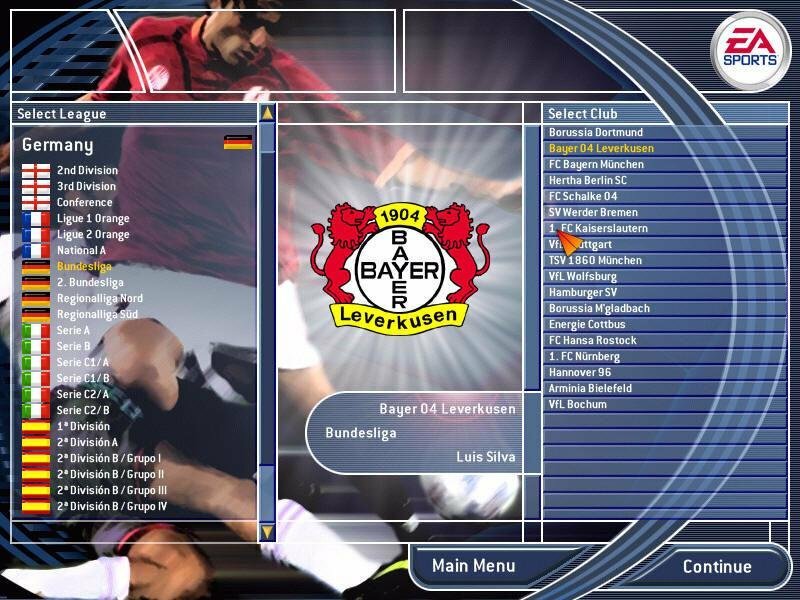 All this combines to form the Player Level, a universal number assigned to each player for each position he is able to play. The player’s morale, fatigue, fitness and form give you the actual Level of any given team member. The training model is probably the star of the game, however. Instead of some generic training, you will be able to apply a highly individualistic approach, telling each player what skill to concentrate on. 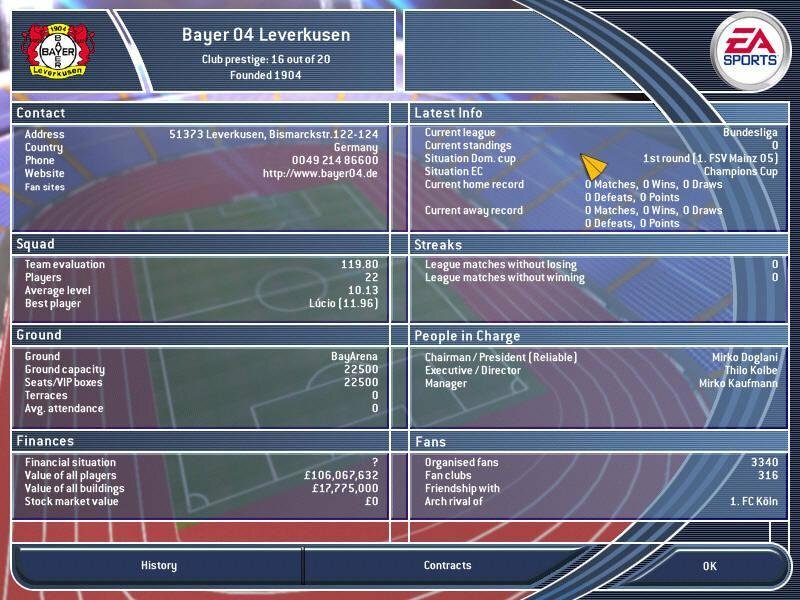 You will be able to divide your players into training groups and train each one differently. You will be able to create a whole training plan each week, assigning 25 different training regiments to up to four time slots each day and adjusting their intensity. Player trading is another aspect to consider. With players numbering in the thousands, you will have plenty of choices when building teams. 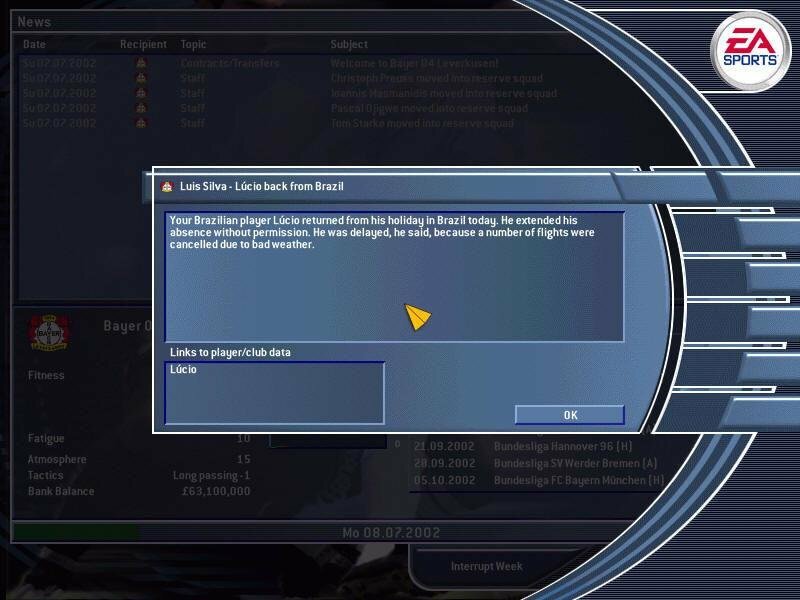 When playing matches, TCM 2003 allows you to deploy preset formations, but you can develop your own. 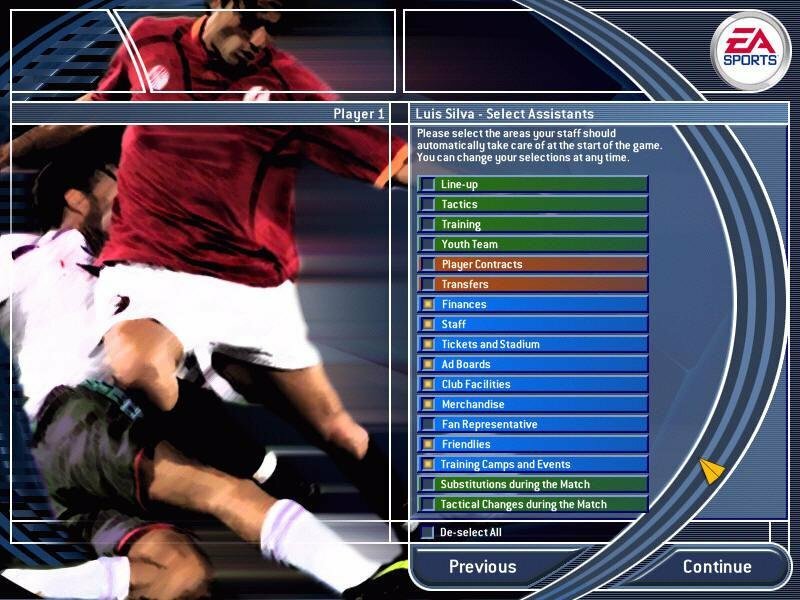 You will be able to give each player individual instructions, ranging from being more aggressive to concentrating on a certain player. In addition, you will be able to adjust the team’s shooting and passing distance, the basic defense strategy and whether to engage into quick counter attacks or not. 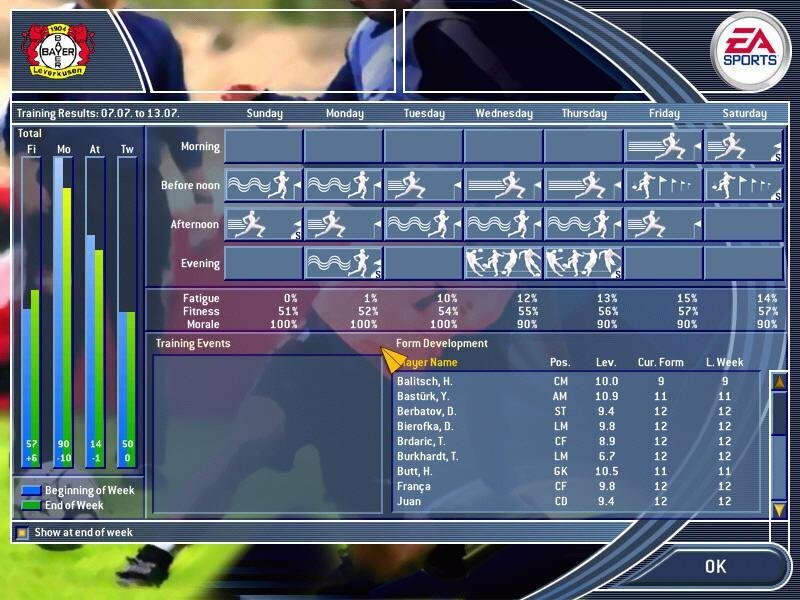 As with most management games, TCM 2003 is heavy on numbers and accurately stimulating the football club management process, ranging from the most important aspects (player strategies) to the most microscopic details (assigning tutors to youth club member so they train faster). 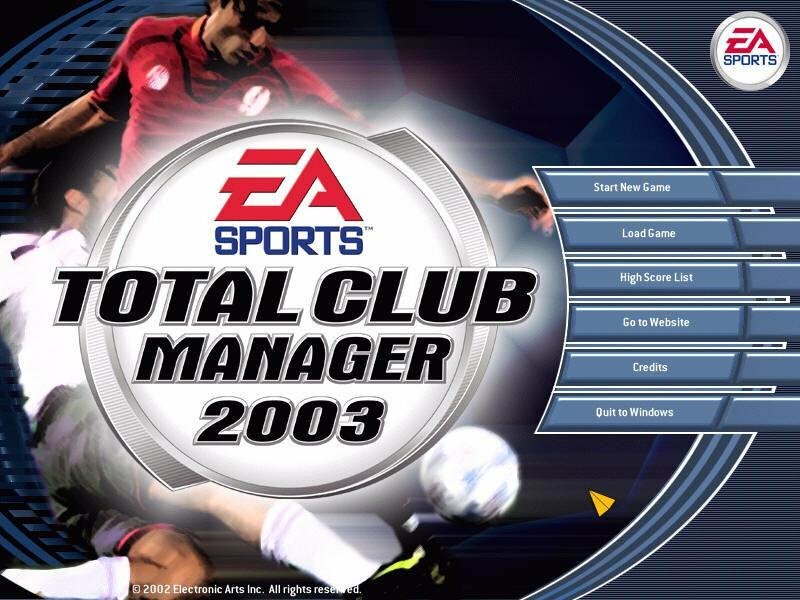 It’s possibly the most detailed club manager program up to this point, so fans of this genre will find their fair share of challenge to be had.